East-West continuously plans college trips for our students in their last years of high school. It is a great opportunity to gain an understanding about the various options they have when choosing the college they wish to attend. Through these trips, students can explore their interests regarding majors and several other aspects of college life. It is important for students to participate in these trips because they can open their eyes to what their future might be. 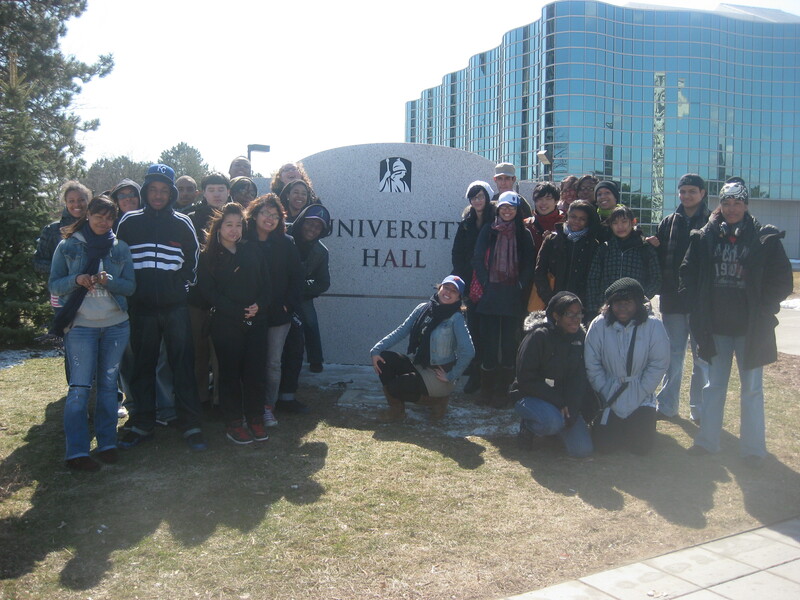 A college trip to SUNY Albany was organized on March 24, 2011 by Ms.Park to which all sophomores and juniors were welcomed. We were able to visit the whole campus as well as gain insight on what the college has to offer. It was a great chance for our students to understand life at SUNY colleges, ask questions, and think about whether they would want to consider this type of college. Once we’re seniors, we will have to make these crucial decisions related to college. Our own East-West 2011 seniors have already gone through this process and have began receiving acceptance letters! College trips have had an influence on their decisions so we encourage students to participate. Yomiuri Shimbun: Quake seen as ‘teachable moment’ in U.S.
Rather than a place of one-sided instruction, the classroom was filled with lively discussion. “The school has an emphasis on Japanese, Korean and Chinese languages and cultures,” said Paul Allison, 51, an English teacher. The school has about 550 students, and about half are of Asian descent. “So when the [March 11 earthquake and] tsunami happened, a lot of [teachers] decided they wanted to bring it into the classroom,” he said. Parks Commissioner Adrian Benepe, Alex Felson, Assistant Professor at Yale University’s School of Forestry & Environmental Studies, Patrice Kleinberg, Director of Education & Visitor Services at the Queens Botanical Garden and eighth graders from East West School of International Studies in Flushing, celebrated a research and reforestation collaboration between the Parks Department and Yale University at Kissena Corridor Park by planting trees and collecting data on the existing trees that were planted last fall. On April 18, city Department of Parks and Recreation Commissioner Adrian Benepe, Yale University’s School of Forestry & Environmental Studies Assistant Professor Alex Felson, Queens Botanical Garden Director of Education & Visitor Services Patrice Kleinberg joined eighth graders from East West School of International Studies in Flushing to celebrate a research and reforestation project. The collaboration between Parks and Yale University at Kissena Corridor Park will involve planting trees and collecting data on the existing trees that were planted in the fall of 2010. The Parks Department has now completed a 16.5-acre, $1.03-million capital project to reforest Kissena Corridor Park. Read the Queens Chronicle’s article on the event, Broadway World’s article and the NYC Park Department’s media release for more information. Take a look at videos and photos from the event on our Flickr page! 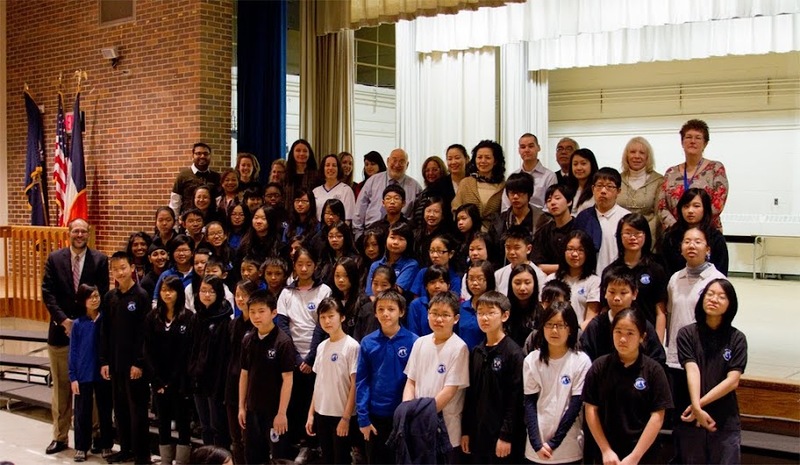 On Wednesday, March 30, 2011, Manny Korman visited our school. Mr. Korman is a mentor to our principal, Mr. Sherman. He is a part of the East-West community and has contributed greatly to us. Mr. Korman attended the recent presentation from the Holocaust survivor, Rosa Strygler and volunteered to share his own experiences from that time. Before beginning to tell his story, Mr. Korman explained to us that his life during the Holocaust was very different from that of others. He first discussed how his family was forced out of their home one early morning in 1938 and were sent on trains towards an unknown destination because they became victims of ethnic cleansing, due to their Jewish heritage. We at East-West promote a culture of academic rigor and high standards. For each marking period, we hold a special ceremony at Muster when we honor and celebrate our highest achieving students. Each semester, we have watched the number of honored students grow. Congratulations! You can find these lists on our main website under the “Students” tab.